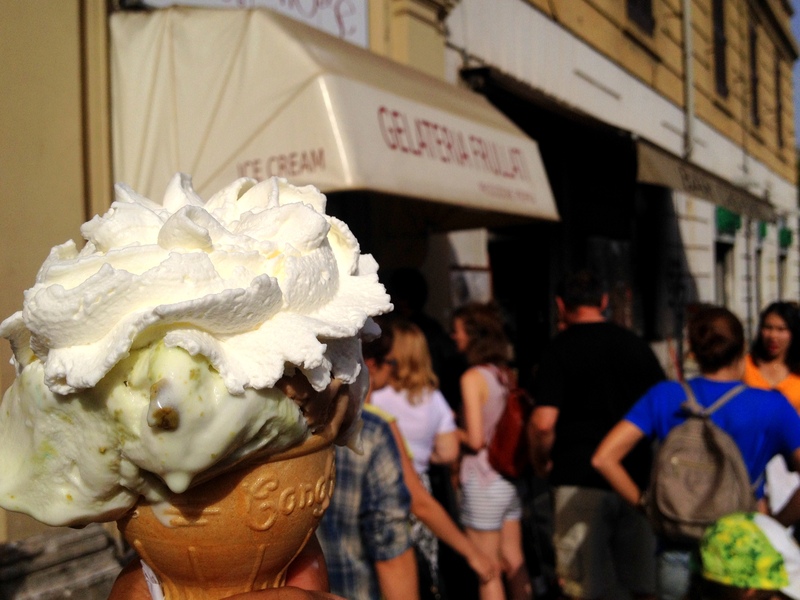 If you are traveling to Italy, you surely have “eat a delicious gelato” in your list of TO DOs. But… how to find the best ice cream?! And after a long and sweet research… here is a list of few artisan Gelaterie (ice cream shops) in Rome that are absolutely mind blowing and that you could try before or after (or both before AND after!) visiting one of wonderful monuments not far from them. Grom opened its doors in 2003 in Turin; it was such a success that in few years other shops opened in Italy and in the rest of the world. 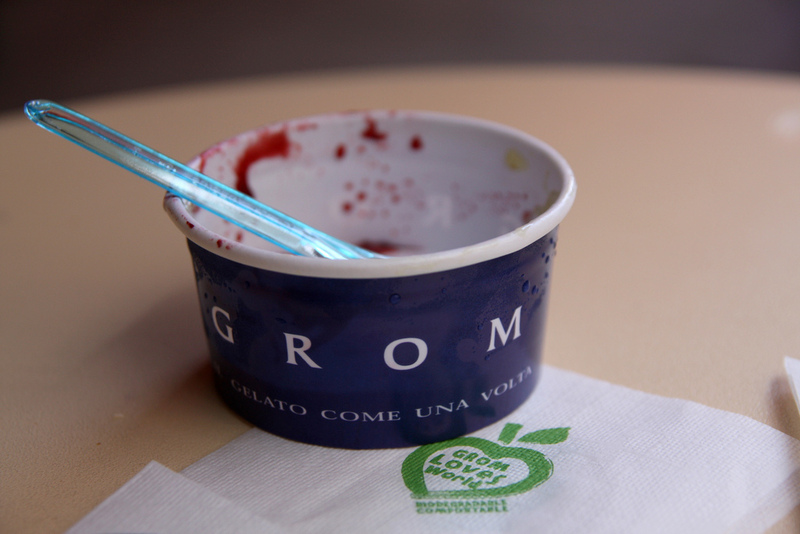 They have a very “green” philosophy: Grom only uses fresh seasonal fruit either from its farm or from high quality and certified sources. Grom artisans do not use coloring or artificial additives, they only use renewable energy to produce ice cream and replaced plastic with biodegradable materials. When you order the ice cream, you will be amazed by the time the “gelataio” spends whisking the ice cream before placing it on the cone, in order to add air to the gelato to make it more creamy and light. The quality of the ingredients truly makes a difference and the flavors are incredible. Licking Grom strawberry ice cream is like eating a mouthful of juicy strawberries; and the vanilla from Madagascar has got such a simple but unique and intense flavor that you will hardly forget. All comes with a price though, and the price for an ice cream at Grom is quite high considering the Italian standards. You will easily find this place as there is always a queue outside. Why? In three words: huge, cheap, delicious. Huge: the smaller ice cream you can get is twice the size of a normal ice cream. Cheap: considering the size of the ice cream, the price is low. Delicious: all the flavors I tried are not too sweet, authentic, plus the ice cream has the right creamy texture. Old Bridge opened over 25 years ago and the philosophy of the artisan founders states that a good gelato comes from the combination of two elements: fresh ingredients and top quality pasteurization equipment. For sure this is a winning combination, because the gelato is truly good. In addition, nor artificial colors neither hydrogenated fats are used, guaranteeing a healthy, high quality product. My favorite flavors here are hazelnut and cassata. And don’t forget to ask for fresh whipped cream on top! – Gelateria San Crispino – Via della Panetteria 42, near Trevi Fountain and The Quirinale (and other shops around Rome including one at Fiumicino Airport). Gelato at San Crispino is the result of a combination of fresh and high quality ingredients, lack of artificial colors or preservatives and a continuous experimenting to achieve new flavors while rediscovering the tradition. The honey cream (San Crispino flavor), is an example of this, as it is inspired by an old recipe from Buontalenti. As for other gelaterie, the ice cream is a bit expensive, but that’s the price for using top quality ingredients. 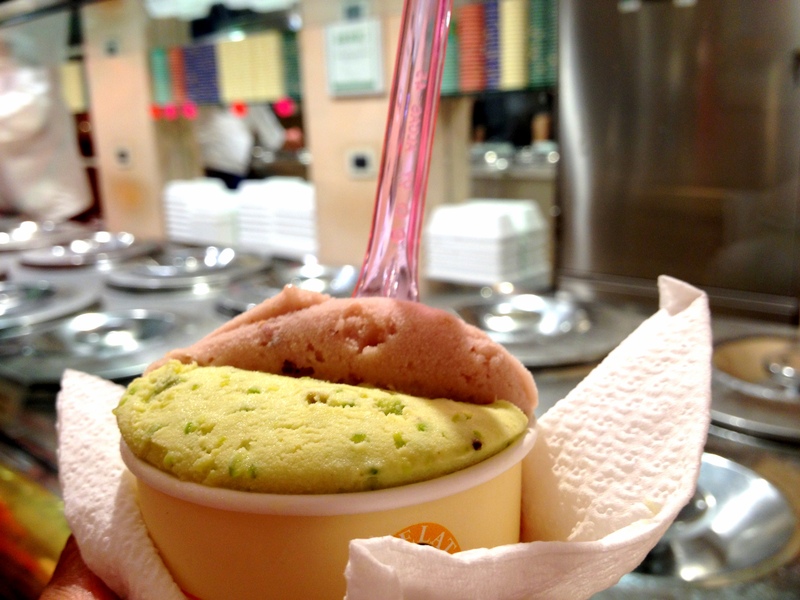 The pistachio cream I had the pleasure to try was creamy, thick and mouthwatering flavorsome. The beautiful Trevi Fountain is next door! – Gelateria della Palma – via della Maddalena 19/23, near the Pantheon. It’s an artisan gelateria that offers over 150 different flavors (one hundred and fifty!!!). You can never get bored! – Fata Morgana Gelateria – via Roma Libera 11, near Trastevere (but also other shops in Rome). This is another gelateria where artisans truly like experimenting: chocolate and tobacco (Kentucky flavor), goat cheese and coconut, and gorgonzola cheese (yes, gorgonzola!!) are some of the flavors, together with more traditional ones for those of you that are not very adventurous. – Gelateria del Teatro – via dei Coronari 80, near Piazza Navona (and another shop near Castel Sant’Angelo). When you enter the beautiful shop in Liberty Style you can see the ice cream machinery and the way the gelato is prepared. Delicious original flavors including white peach and lavender. 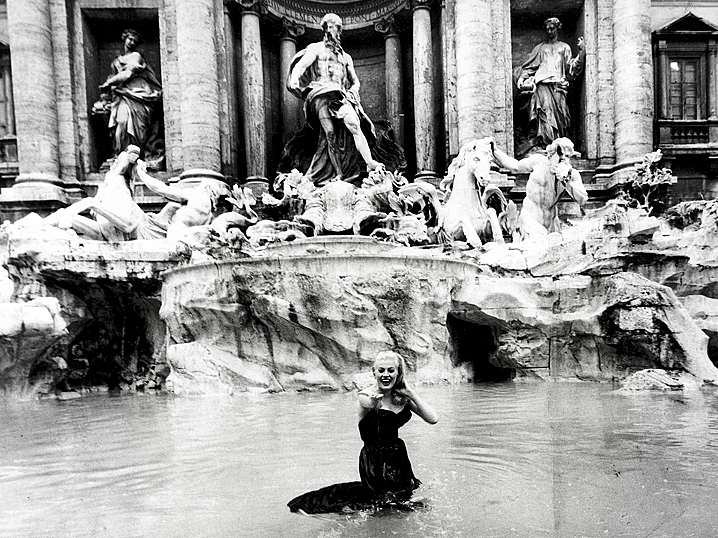 Rome was the famous set for the movie “La Dolce Vita” (literally: the sweet life) with the elegantly stunning Anita Ekberg. I have the suspect the name was in part inspired by the delicious gelato you can taste in this city, and that really makes your life way sweeter! 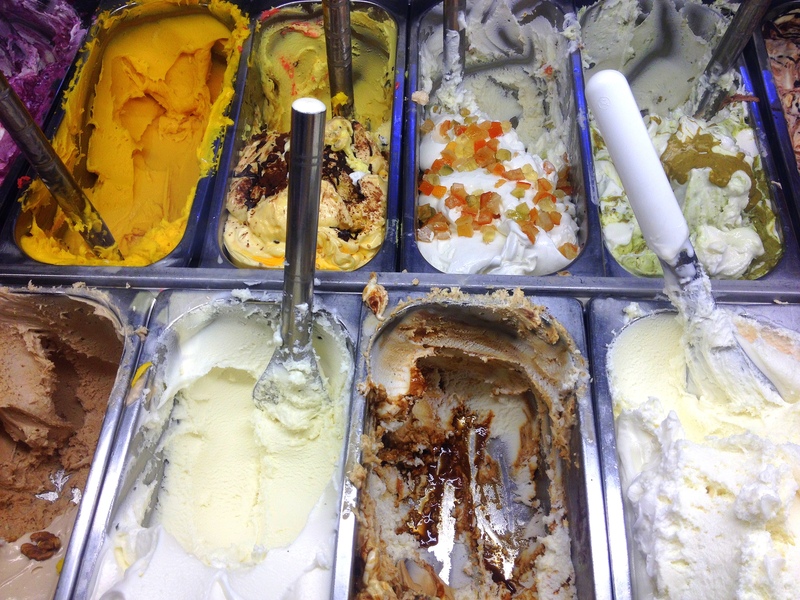 So, if you are visiting Rome, you definitely have to try one of these gelaterie. Or, if you would like to pick yourself one, my advice is: look for the sign “gelato artigianale”: it means it is a hand made, artisan ice cream. Like all the ones listed here above. Finally… if there is a queue outside the gelateria, go for it! I am sure the taste will be worth the line.